This week Hole19 HQ is celebrating as we just surpassed 10 Million rounds played with the Hole19 App. Since the beginning, we all dreamed of this kind of achievement. 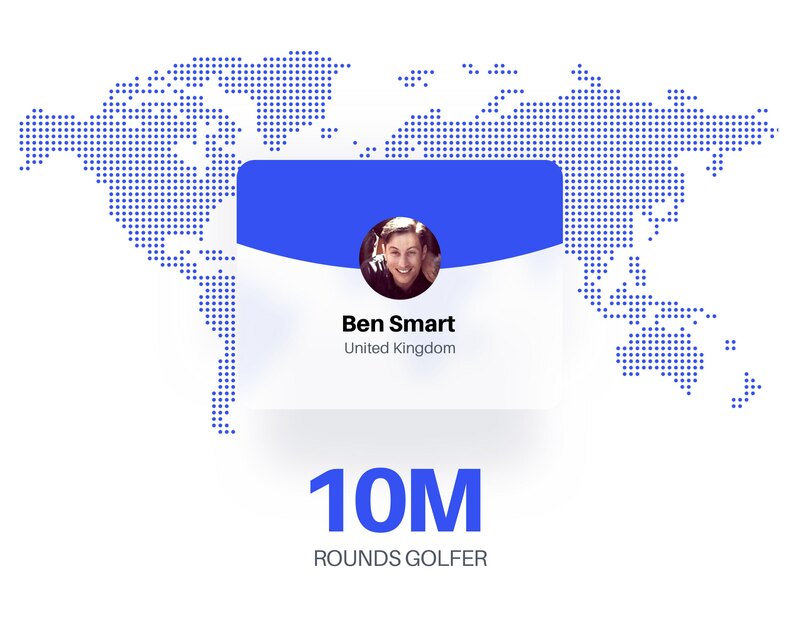 Now we have over 1.3 Million golfers around the world who consider us the Golf GPS App of their choice, which is something to be proud of. We are extremely grateful to our Hole19 Community for making this milestone possible! Next stop, twenty million! The golfer that played the 10 Millionth round was Ben Smart, who played this round at Park Wood Golf Club in the United Kingdom. Ben started using the Hole19 App in November 2015, so he’s been a witness of Hole19’s evolution over the last years. He started with a Handicap of 23, managing to lower it to 15 while using the Hole19 App, although he currently plays with a handicap of 17. Hole 19 has definitely helped me improve my game, knowing the exact distance and what club to take out the bag is a big advantage especially when you play so many public courses where the markers aren't always that accurate. Also, being able to see how far away hazards and traps are, helps you make better decisions on the tee and down the fairway which all adds to you improving your overall game. I really like how Hole19 keeps track of your Stableford score so good or bad you can just concentrate on playing the next hole as well as you can, which is a big factor in keeping the mental side of your game in check all through the round. Whether you have premium or not this is easily the best free app out there for amateur golfers whatever you play off! As a reward, Ben will now have access to Hole19 Premium and some Hole19 gifts. We’ll be looking forward to witnessing his progress now that he’ll get to use all of the Hole19 Premium Features. Wondering where we have the most rounds played? Although Ben was the lucky golfer who played the 10 Millionth round, the team here at Hole19 HQ are extremely grateful for the continued love that you, the Hole19ers give us. We are delighted that you enjoy using the App and we hope that you continue to enjoy it. We are only going to get better and the Hole19 App is going to keep improving, which will only assist your game even further. Without your constant support, reaching 10 million rounds would not be possible.